Scotts of Thrapston has an enviable reputation for offering a total timber engineering service to many UK housebuilders and construction companies. Scotts is the preferred roof truss supplier, to many such organisations, due to a combination of personal service, attention to detail and the employment of advanced technology. Scotts designs and manufactures timber roof trusses to suit individual requirements. Take a look at the more common trussed rafter types that are encountered, although other roof trusses can be manufactured to meet varying demands. 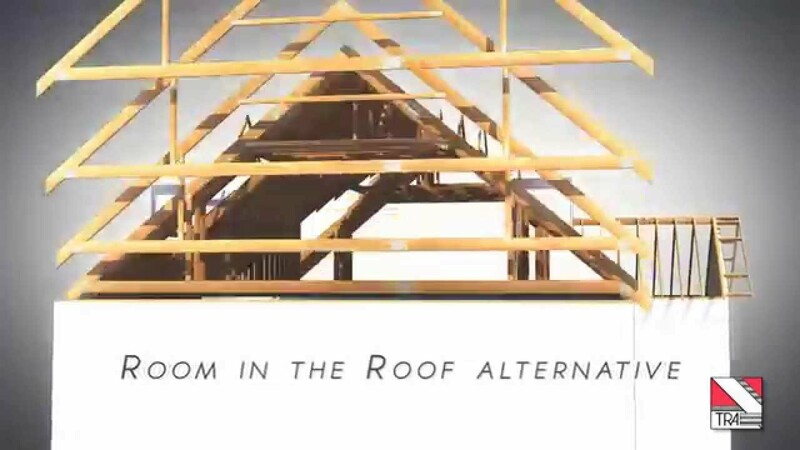 The room in the roof trussed rafter, or attic truss, is a simple and effective way of providing valuable additional living space within the roof of your property. Architectural feature trusses or bolted trusses can form an outstanding centrepiece to make an aesthetically pleasing impact in many new and existing buildings. Roof Trusses or trussed rafters are individually designed timber components, engineered to provide a structural frame for a wide range of roof structures. Prefabricated timber roof trusses are used in over 90% of all modern housing and in an increasingly large proportion of commercial and industrial buildings, particularly those with a varied and interesting roof design. As roof structures are becoming increasingly complex, housebuilders are looking to major roof truss manufacturers, such as Scotts, to offer expertise and cost effective solutions. Scotts staff are happy to advise you on the best timber engineering solution to suit your specific needs. Utilising the latest software, Scotts is able to design roof structures and trussed rafters to meet the most exacting of project specifications.